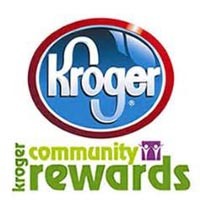 Kroger Community Rewards is an easy, convenient, and free way to help support the Riverdale High School Band! If you haven’t already linked your Kroger Plus Card, then please follow the instructions below to link your Kroger Plus Card to the Riverdale High School Band Boosters. Just register your Kroger Plus Card here. If you already have an account at Kroger, go to your account and select Riverdale Band Club NPO#42262 to link your card. A percentage of each total goes directly to the band! Select “Create an Account” and follow the steps.